Hello again friends! I hope your week is off to a great start. 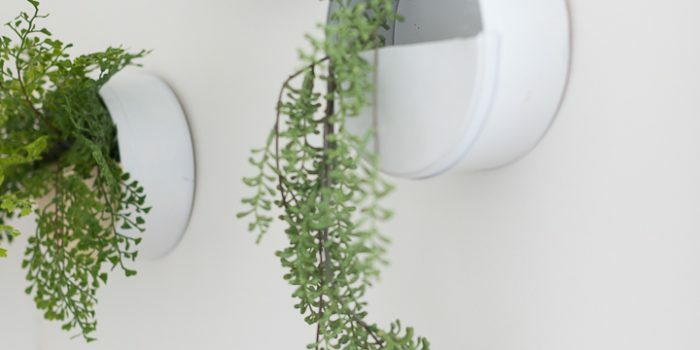 September is officially here, which means we have the green light to begin decorating for fall, right? This year, I have decided to forgo my usual neutral color palette and am embracing fall’s traditional colors. It’s pushing me a little out of my comfort zone, but I’m looking forward to experimenting. I have the honor of being one of this year’s Michaels Makers, and we’re kicking off fall with a craft pumpkin challenge. To prepare for the challenge, I recently visited my local Michaels to pick up some craft supplies. Their aisles are full of beautiful fall decor, including a variety of craft pumpkins in many colors, shapes and sizes. I was particularly excited to see these as I believe they would be perfect for fall decor wall mounts and fun signs. But for my challenge, I chose the 9″ cream craft pumpkin. I wanted to recreate the look of a blue painted porcelain ginger jar to display alongside some of my collection. I began by spray painting the craft pumpkin with white primer. Once dry, I used a pencil to draw a design and traced it with this Acrylic Paint Marker . I then filled in the rest with DecoArt acrylic paint using a mixture of Primary blue, Ultramarine blue and a touch of Black. I love the way the pumpkin blends with the rest of the dishes and the contrast of the fall colors with the blue. If you’re not comfortable painting your own pumpkin, I painted another design for you to print, cut out and decoupage yourself. Simply right click on the file, save and print . Then cut out and use gloss ModPodge to decoupage onto pumpkin. This will print on a regular 8″ x 11″ sheet and is large enough to place on a 6.5″ pumpkin. This one will also print on an 8″ x 11″ sheet, but is large enough to cover a 9″ pumpkin . Michaels offers beautiful florals each season, which are complimented by this gorgeous brown cider jug I found during my recent store visit. 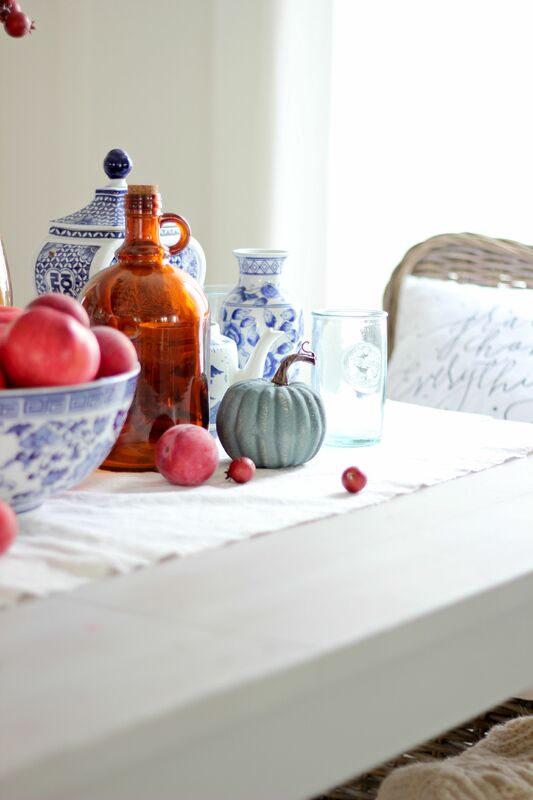 Here’s a close up of the jug and that pretty little teal pumpkin. There you have it – my first Michaels Makers challenge complete! I can’t wait to dive in and experiment with traditional fall and see where it takes me. Sometimes it’s good to step out of your comfort zone, don’t you agree? 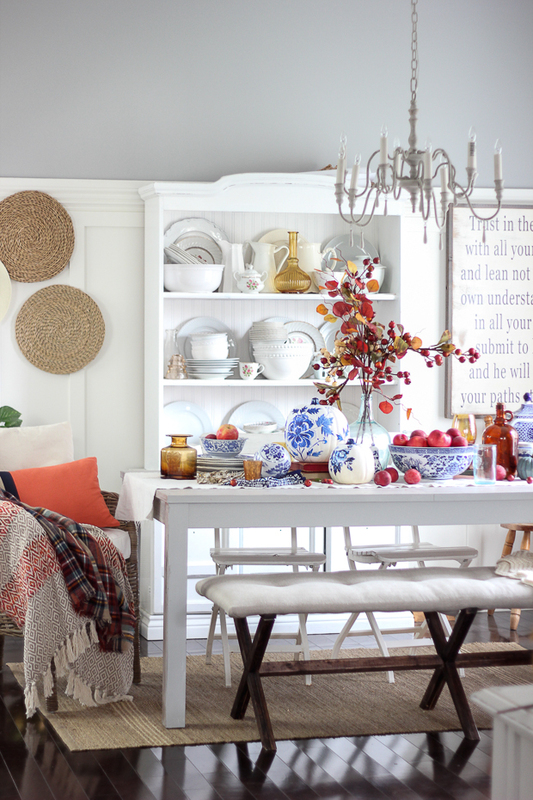 You can check out all the other amazing projects below for more great fall inspiration. Previous Post: « Watercolor Mugs Using Alcohol Ink and an Exciting Announcement! Lucy – I so love this idea!!!!!!! So pretty and unique! Your creative talent outshines all the others! 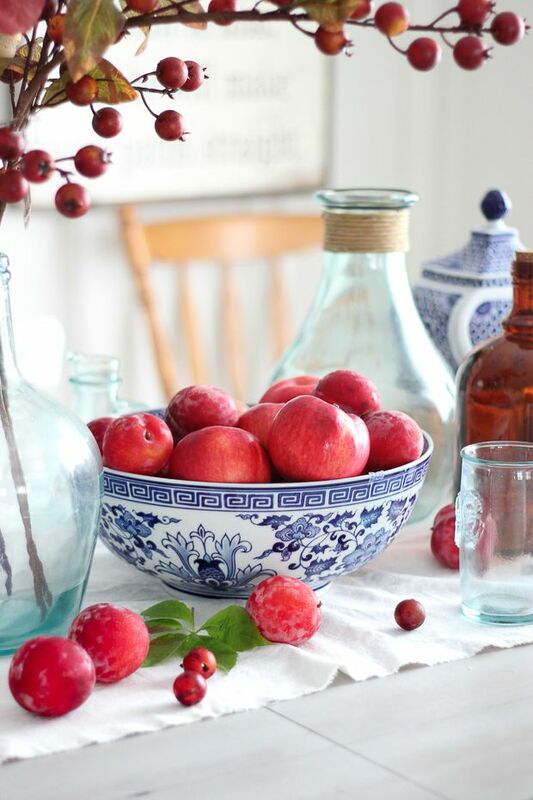 And best of all, your designer pumpkins can be left out all year to compliment your lovely tableware! Yes, it is true – something very actuall for me – I have to learn it. Thank you, I save it for me too. Love what you did with it. One of my favourites. Lucy, the pumpkins are lovely. May I ask, did you paint the verse from Proverbs hanging on your wall, or did you purchase it. I really love it and would love one for myself? These are the most ornately stunning pumpkins I’ve ever seen! Thank god for the prints to decoupage-I would never have the patience or talent to free hand all that! Love this! 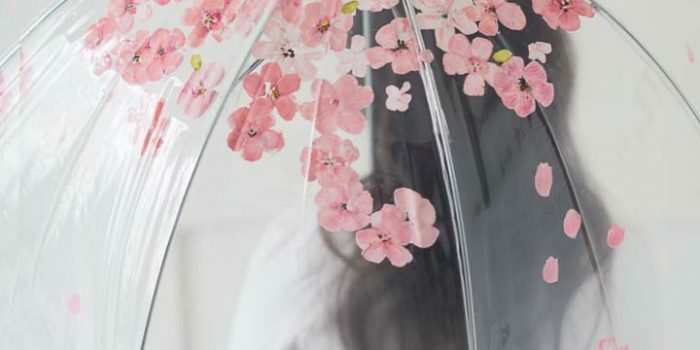 Very pretty – and of course, love the addition of Mod Podge! I love the pumpkins! You are so creative! I love how you didn’t make them your average pumpkins, you did something totally not Halloween or pumpkinish if you know what I mean. I also love that we get a free printable which I am going to use for sure. Also being a Christian, I love the verse on the wall. Thank you for showing us all the crafts you do and your house. 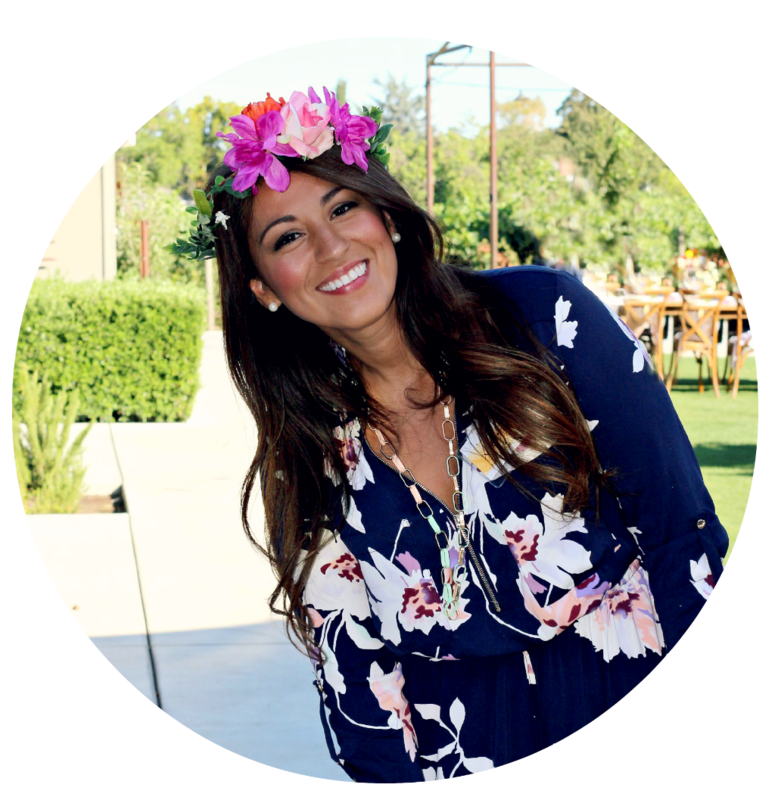 I have been passing your blog to my sisters and my 21 year old niece. I know they are enjoying looking just like I am. Stunning, Lucy! The most gorgeous pumpkins I’ve ever seen. Enjoy this new adventure! Have a great day! 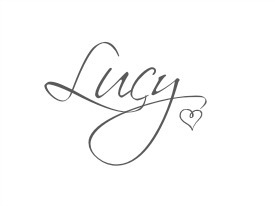 These are just beyond beautiful Lucy! 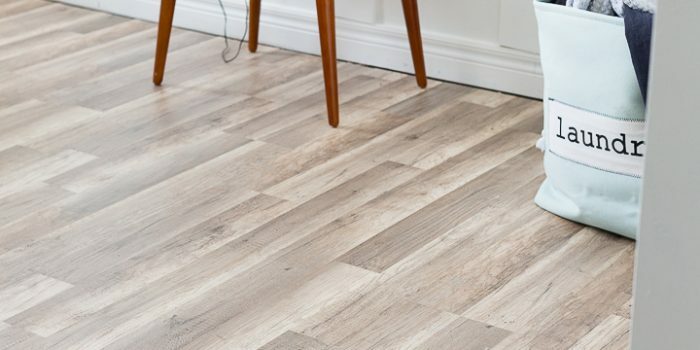 And your photos and styling are gorgeous! What a beautiful print! Thanks for sharing! These are just gorgeous! Thanks for sharing your talents with us! 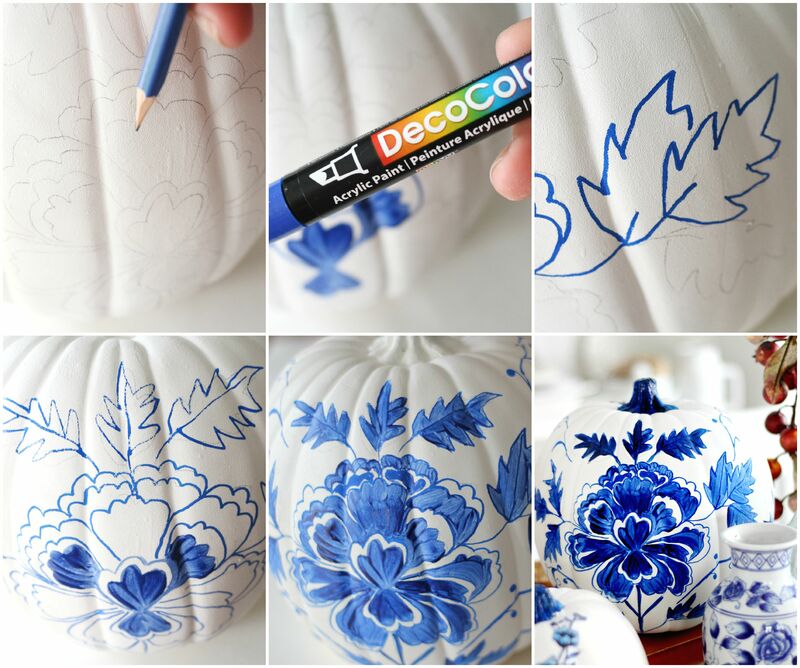 Some really pretty pumpkin ideas here, thanks for sharing! LUCY! i am i awe of your work. 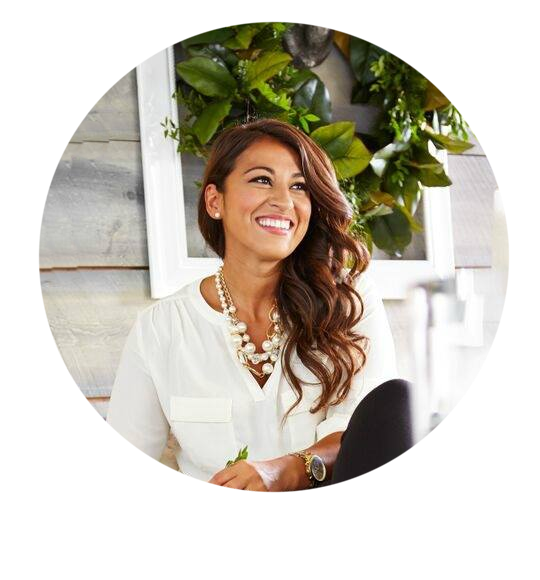 love following your IG account and now your blog. 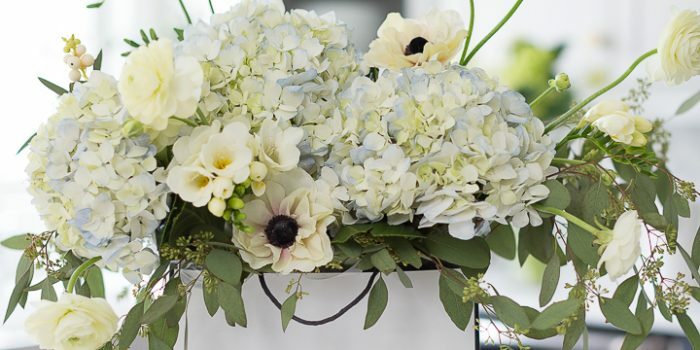 I love blue and white so these are right up my alley! gorgeous!! thanks for sharing!! These pumpkins are unbelievably gorgeous. You are so talented! 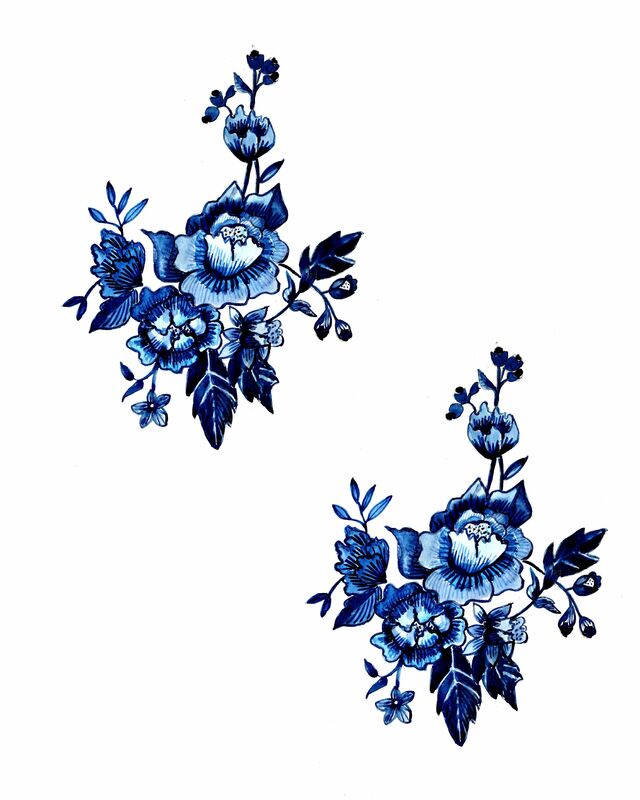 I have blue-and-white china so these are perfect for my table. Thank you for the printables. 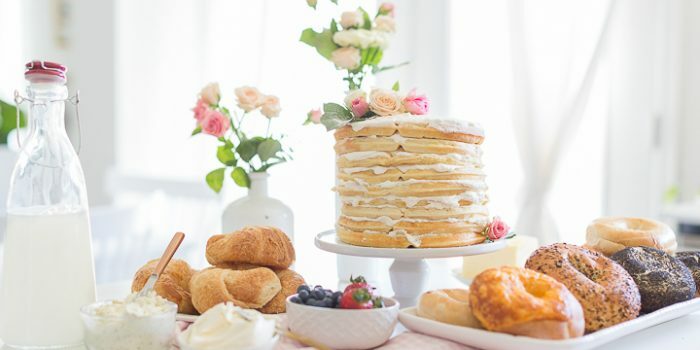 Firstly, the styling on everything in this post was just a dream! So great! Your painted pumpkins are phenomena! 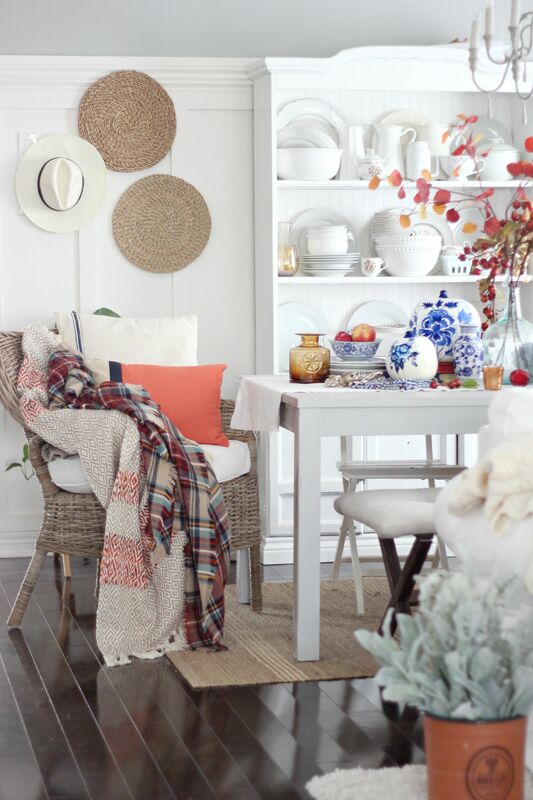 Great job taking something seasonal and making it work with your existing décor and style! 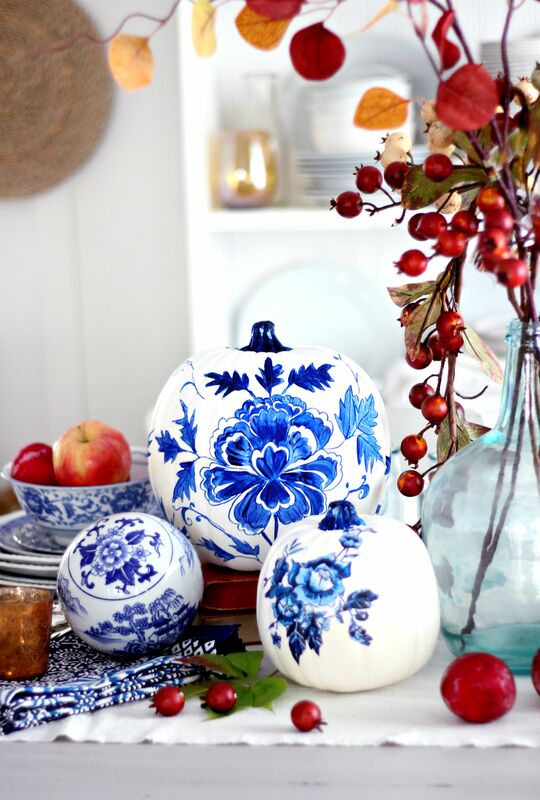 these blue/white pumpkins are to die for. I wish we had MM here in Oz. Absolutely stunning!!!!!!! I can’t believe how beautiful they are! 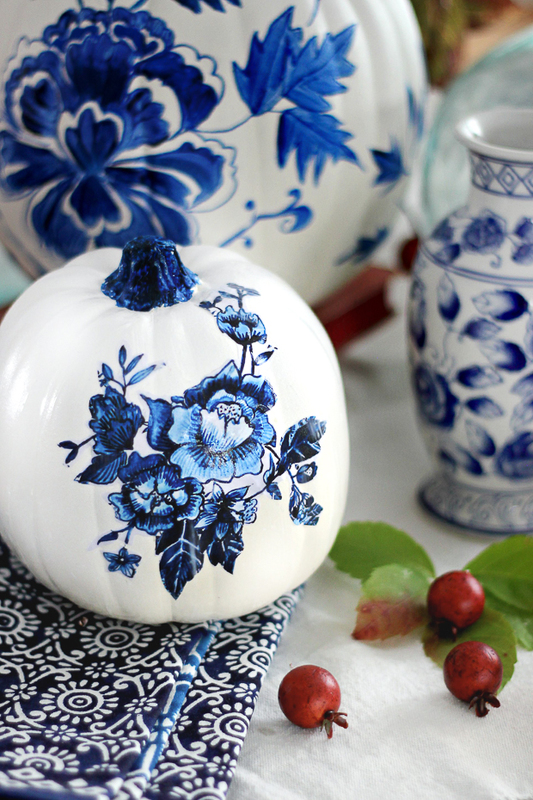 I am so happy to tell you I used these blue flower prints on a faux pumpkin and topped it with a crystal knob. 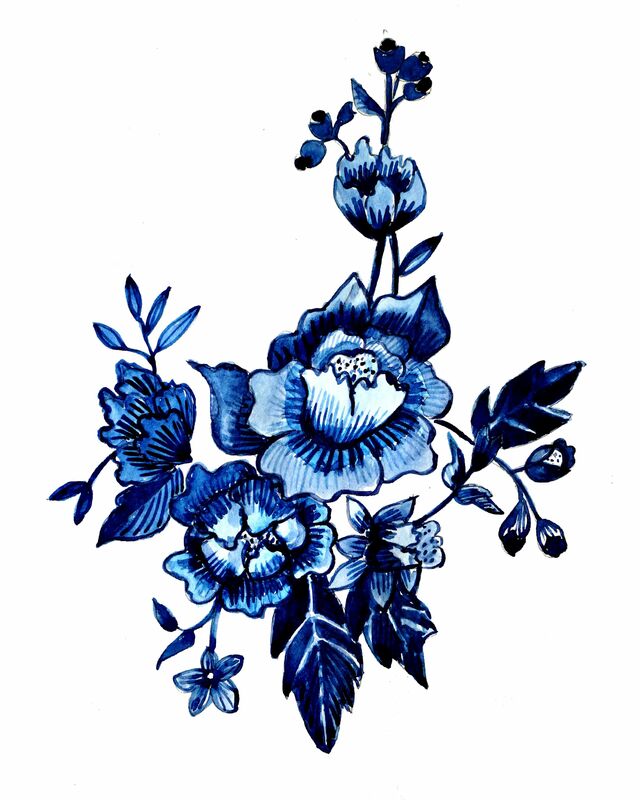 It’s in my guest bedroom with a lot of other blue porcelain vases and accessories. 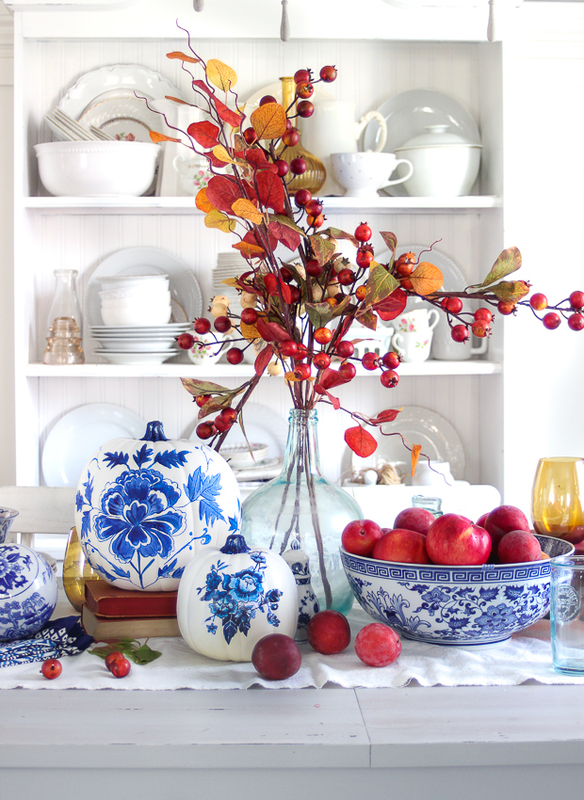 I love the vignette with the blue/white pieces and the apples – it’s a color sensation! Keep up the good work! The pumpkins are fantastic. I used similar designs on white glass Christmas ball ornaments-in the mid 70s. I have a Delft bowl and I put them in it. But your designs are gorgeous. Thanks for the ideas. I had used designs from an early 70’s Women’s Day or Family Circle magazine-the clippings are now so yellow that your images will be a welcome fresh start. 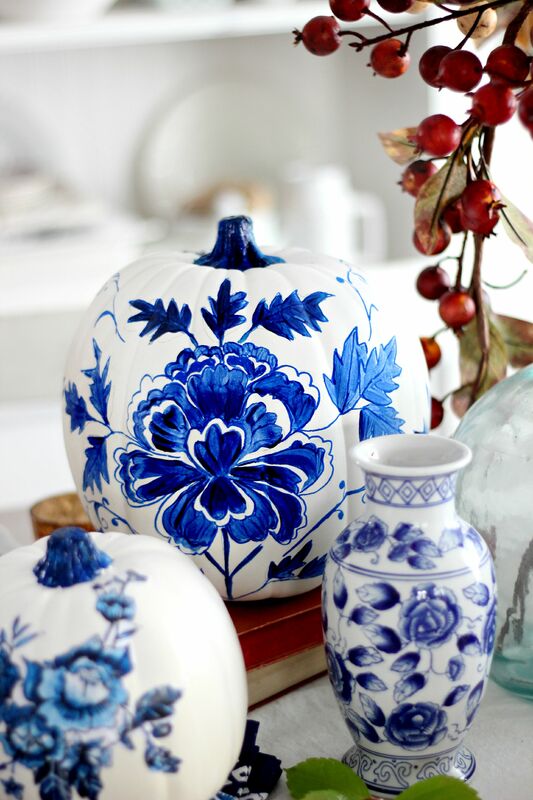 These white pumpkins with blue designs are beautiful. 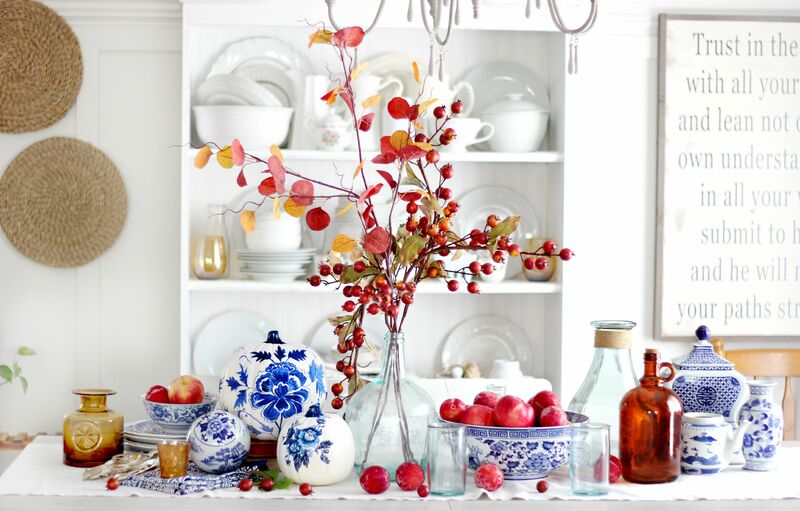 Do you display them all year or just in the fall. They are too pretty to put them away. Thank you sharing such an wonderful art!